Thomas HATCH was born about 1603 and lived in Dorchester, Yarmouth and Barnstable, MA. His orgins, prior to his arrival in the Massachusetts Bay Colony, are unknow. He married a woman named Grace. "Miss Grace, it seems, was a very winsome and popular young woman and Thomas had more than one rival for her heart and hand. But the contest finally simmered down to Thomas and one other, and Miss Grace found it difficult to decide which she liked the better. Finally, as they were farmers, it was agreed by all concerned that fate should be determined by a reaping match, he who could reap a certain equal measured portion of a field of grain, to get the prize. And Miss Grace, being herself a farmer's daughter and a skillful reaper determined that she also would have a hand in the contest, that was to decide her fate consequently she, with true feminine diplomacy had her equal portion staked out between the other two and the contest began. Reaping grain at that time was done by the hand sickle. In the meantime as her fate was so near a determination, Miss Grace did some vigorous thinking as is apt to be the case when events of serious consequences are imminent and having concluded that, on the whole, she rather liked Thomas a little the better, she slyly cut over a little onto Thomas' portion, thus enabling him to finish slightly ahead." (Source: Genealogy & History of the Hatch Family, by Hatch Genealogy Society-Ruth Hatch Hale). Jonathan HATCH - "Thomas and Grace had two children, Jonathan and Lydia. Jonathan was said to be a "lad of spirit". In 1637 he was apprenticed to Lt. Davenport of Salem, Massachusetts. Evidently he was either unhappy or bored with his work and in 1639 he ran away to Boston. In 1640, he was arrested as a fugitive from service. He then left Boston and returned to home at Yarmouth. In 1640 he was arrested in Yarmouth for slandering Capt. Nicholas SIMPKINS. The court found no grounds and, in fact, Capt. SIMPKINS was fined 40 shillings and Jonathan was set free. In March, 1642 Jonathan was charged with vagrancy and censored to be whipped and returned to Lt. Davenport. He was, instead, sent to Stephen HOPKINS, in Plymouth, for special care. Mr. Hopkins died in 1644, so Jonathan returned to Barnstable. In 1645, Jonathan was one of four Barnstable men who formed an expedition against the Narragansett Indians. In trouble, again, in 1641 he was brought before Grand Jury with Samuel HINKLEY (father of Gov. HINKLEY) on charge of hiring land from the Indians. Jonathan seemed to settle down, a bit, in 1652, and was appointed one of a commission to "choose and lay out common highway between Plymouth and Sandwich." However, in 1652, the Grand Jury charge him with "furnishing an Indian with gun, powder and shot." It seems he made friends with the Indians, which was 'against the law'. Then in 1653, he was given land on Sepneset Bay (now LEWIS Bay) where he built log house and moved there with his family, in 1654." For a full account was written in the "Genealogy and History of the HATCH Family." Jonathan HATCH died on Dec 10, 1710 and was buried in "The Old Burying Ground" in Falmouth, Massachusetts. There is a Plaque at the entrance. After nearly 300 years, Jonathan Hatch's Tombstone has become worn and left with no engravings. A memorial stone sits nearby, marking the site. Jonathan's son, Samuel HATCH was probably born in 1659 and lived in Barnstable Co, MA, where he died before August 8, 1718 in the same place. Little is known of Samuel, however he was married to Lydia before 1693 and that he was a worker in leather who made boots and shoes. He and Lydia had 12 children, including Edward. Edward HATCH, son of Samuel, was born between 1703 and 1704 in Falmouth, Barnstable Co, MA. He married Rebecca WEEKS on Aug 17, 1727. Rebecca's parents were Mehitable HATCH and William WEEKS. William was the son Mercy ROWLEY, the daughter of Moses ROWLEY and Elizabeth FULLER. Elizabeth's father was Matthew FULLER, son of Edward FULLER, Mayflower Pilgrim. We know of three children born to Edward and Rebecca; Abigail b. 1727; Rebecca Sue b. 1730; Wait b. 1732. Wait HATCH was born in Falmouth, MA on August 27, 1732. ma. He married Mary Lewis, daughter of Daniel LEWIS and Elizabeth GIFFORD, in Falmouth in Nov. 1755. About 1769-70 they relocated, perhaps to Kent or Sharon, CT and then to Lee, MA before 1779, which was the year his son Edward was born. The following is contributed by Spencer E. SMITH, a descendant: Wait HATCH was a Seaman. When he was about 18 years of age his father died and Mathew ROWLEY was appointed his guardian till he should become of age. It is probable Mr. Rowley was a kinsman of his and was engaged in the Sea-faring business and that is how Wait became a seaman. He followed the sea till the outbreak of the Revolutionary War when the British Warships destroyed the Maritime business of the Colonists and caused so much distrss in the seaboard towns of New England that many of the inhabitants moved to the interior. In 1775 Wait HATCH moved to the town of Lee, in the western part of Massachusetts. The country there was new at that time. The first settlement of the town was made only 15 years previously. Among the 45 signers to a petition for the incorporation of the town dated Jan. 6, 1774 was a Samuel Hatch. This man may have been Wait HATCH's brother, Samuel, and for this reason Wait moved to this town. Early in Jan. 1776, it fell to the lot of Wait HATCH and others of Lee, Massachusetts to go as recruits to the American Army before Quebec, Canada. His son, Lewis, begged the privilege of going in his stead and was allowed to do so. He lived in the town of Lee, about 24 or 25 years and probably followed the business of farming. About 1799 or 1800 he and his wife, Mary, moved to the town of Granville, Washington Co., New York to live with their son Lewis, who had bought a farm and moved there some years before. Here he died in 1806-7. His widow died there about 1822. Source: "Genealogy and History of the HATCH family"
In "The HATCH Family - Early Families of Washington County New York - Thomas HATCH of Barnstable, Massachusetts" by Azuba Ruth HATCH, page 14... "Wait was brought up in Falmouth and was just seventeen, not yet of age, when his father died. Matthew ROWLEY was appointed his guardian. As we have already seen, the ROWLEYs and the HATCHes were closely related. The name Matthew suggests to me that he was probably a grandson of Moses ROWLEY who married Elizabeth, daughter of Matthew FULLER." "Wait became a seaman which somehow seems to mean more than just being a sailor. Around Barnstable and Falmouth there were still few roads and most commerce and travel were by water. It is likely he was in the maritime business with relatives there in Falmouth. It was a profitable business until a few years before the Revolution when the British began to harass the trade, boarding ships and confiscating both ships and cargo. At the time of the Revolutionary War they were raiding the towns along the shore for food, taking crops and cattle. Wait and others saw what was coming and left just before the hostilities began. Wait took his family to Lee, a newly opened area in western Massachusetts. Other Hatches and Cape Cod families bought land and settled there - one street bearing the name of Cape Street." "I have often wondered how it was that several HATCH and other families from Cape Cod settled in the town of Lee in that far western section of Massachusetts. [Charles Lathrop] Pack discovered in the town history (p. 135) that the town grew up on a large tract of land which had been granted to the Glassworks Company in 1755. Then in 1769 and 1771 Pelatiah West and Joseph HATCH of Tolland, Connecticut, purchased nineteen twentyfourths of that tract of over 1500 acres. I believe that this Joseph HATCH can be identified as a grandson of Capt. Joseph (3.4) and was perhaps Joseph III (5.9), son of Capt. Joseph Jr. Certainly this line of Hatches bought up land in many other new areas." "All family records indicate that Wait, along with other Lee men, was called for service in early 1776 for the Quebec campaign and that son Lewis begged to go in his father's place and did. So far thought no official record has been found. After the war, Wait petitioned the Town of Lee for reimbursement for clothing furnished the soldiers. This makes him an eligible ancestor for DAR membership." "In Lee, Wait was a farmer and he took part in town affairs. At the annual town meeting 30 march 1778 (p.12), he was one of eight men chosen as surveyors of highways. At the town meeting on 23 Nov. 1784 he was chosen as one of the hogreaves (p.32). Their duty was to impound stray hogs. Many of the animals either roamed loose or were herded in common pastures necessitating a method of identification. "For Waight HATCH. Mark for his Creatures is a slit in the end of the Wright Ear and a Cut the underside the same," (p. 125). When a man left town the mark was passed on to another. 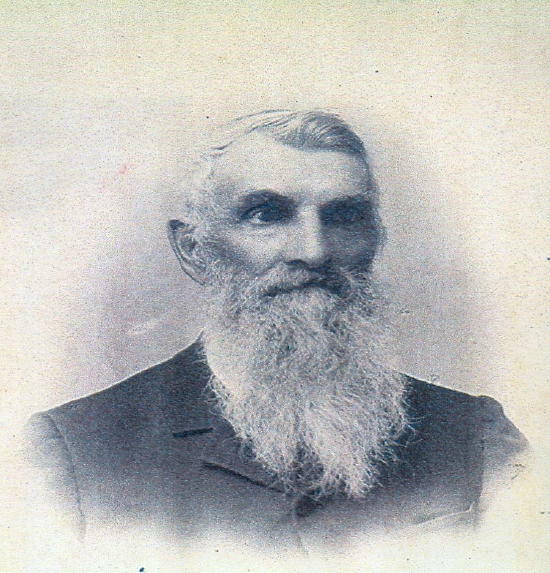 Son-in-law Oliver HATCH took the mark of Elijah DODGE (p.126) and son Lewis took that of David KELLOGG, and when Lewis left town it was passed on to Moses INGERSOLL - "Lewis gone out of town" (pp.125 & 127). "Wait married and lived in Falmouth for several years and the first three children were born and baptised there. If there were more children the records have been lost. Edward, their last child was born after they moved to Lee. The Lee town records also contain the birth and death dates for daughter Rebecca (p.159), and the birth of son Edward as 11 June 1776 (p.159). There has been confusion about Edward's birth date. There is also a record that all four children of Wait had been baptised (p.251)." "The last record for Wait in the Lee town records (pp.318/19) pertains to a Petition for a day of Mourning for George Washington to be held on 24th of June 1800. Among the signatures to the petition are those of Wait, Samuel, and Malatiah HATCH, and of Peter WILCOCKE, the step-father of Lewis's wife Mary Davis HATCH. These signatures are reproduced in the printed records and Wait's is there but it is so very small and hard to locate that it would not reproduce well." "Much later, shortly after 1800, Wait and Mary went to live with Lewis in South Granville, New York. As we would look at it today it was hardly for the reason of old age for both were still in their sixties. Perhaps Wait was not well for he died about seven years later." Source: The HATCH Family - Early Families of Washington County New York - Thomas HATCH of Barnstable, Massachusetts by Azuba Ruth HATCH. Lewis HATCH was the second child born to Wait and Mary HATCH. His birth was on Dec. 31, 1757 He married Mary DAVIS about Oct. 1780 and the eventually moved to Lee, Berkshire Co, Massachusetts. He bought lots 30 and 31 of the Kelley's Patent of what is now Granville, Washington Co, New York. About 1783, he moved his family there about 1794. Lewis served in the army during the Revolutionary War. Memorial He enlisted for service five times by Oct 18, 1780. Service Record Letters In his first service he was a drummer. His farm, in Granville, Washington Co, New York, became known as "HATCH Hill" Hatch Hill Road. This is where he died at age 89. An extensive sketch on his outstanding military career, is written on pages 228-234 in the The HATCH Family - Early Families of Washington County New York - Thomas HATCH of Barnstable, Massachusetts by Azuba Ruth HATCH. He was a Corporal in the Massachusetts Line. He was placed on the pension rolls in 1832 in Washington Co, NY. Lewis's wife, Mary, died about 1808 in South Granville, Washington Co, NY, where Lewis died on Dec 03, 1847. Thomas Davis HATCH was born Oct 25, 1787, in Lee, Berkshire Co, Massachusetts, the fourth child of Lewis and Mary HATCH. In 1818 he married Irene WELLS and in 1837 he moved to Conesus, Livingston Co, New York. In the 1840 census, he had 8 children, four sons and four daughters. Later, he moved to Alleghany Co, New York where he died Apr 23, 1847. Several members of the family continued to live there. Thomas was a farmer and served in War of 1812 as Captain of the Militia in Hosea Day's Company. David Northum HATCH was one of 12 children of Thomas and Irene HATCH. He was born in Granville, Washington Co, New York on May 21, 1819. On Jan 29, 1845 he married Eliza Ann FITZGERALD b. Mar 08, 1824 in Cayuga Co, NY. The family migrated to Hornellsville, Steuben Co, New York where their third and fourth children were born. Before August 21, 1861, the family had moved on to Frontier, Woodbridge twp, Hillsdale Co, Michigan, when Eliza gave birth to their last child. She died four months later. David married again August 3, 1862 to Matilda A Andridge, a widow. Their child, A.I. HATCH, was born about June 7, 1866 and died 5 months later. After "Mattie" died, David continued to raise his family, alone. In 1872, he purchased a house 'in town' Abstract and, in 1881, he married again, to Catharine (Poynter) Baldwin. On Mar 10, 1898, David was buried in the Frontier cemetery. His 'Woodsman of America' tombstone is an elaborate, cement(about 10 foot tall) "tree stump" with vine wrapping around. On the front is a mallet, hatchet and wedge in a log. The scroll, upon which his name is carved, is seemly held up by a draping rope. His name appears as David N Hatch. Elmer HATCH was the fourth child born to David and Eliza HATCH. He married Ellen FULLER on Feb. 21, 1875. Probably neither one knew they were both descendants of Edward FULLER of the Mayflower. See Chart I wish I could tell them but they're both long gone. Three of their six children died young. Glen was born in 1882 and died in 1883. An infant, born in 1886, died 3 months later. Hazel was born in 1881 and died in 1890. Elmer died just one week later, on Jan. 31. Maude Arcelia HATCH was the first child of Elmer and Ellen HATCH. She was born on Apr 23, 1877 in Frontier, Woodbridge twp., MI and married Warren Homer SARGENT on Nov 28, 1894. They had four children under 12 years old, when she took her life by drinking poison. As the story goes, she discovered that Homer was unfaithful with the woman who, eventually, became his second wife. Of Elmer and Ellen HATCH's children, there was just one son, Dorr HATCH. He died without issue, ending the HATCH name on this branch.